You must be hearing about MUDRA since years. This long talked debate has not yet reached to its conclusion. MUDRA bill was supposed to be presented in the parliament during winter session. But it seems this time too this bill is going to be a victim of delay. Before we go into further details about this bill, consider some facts from the past. In 2012, a bill was presented in the parliament, which proposed that a regulator must be formed to control MFIs in the country. This bill was rejected by the Parliamentary Standing Committee on Finance. Furthermore, it was asked then that more discussion is required on proposed Micro-finance Institutions Bill –for development and regulation. Long awaited story has now started to build up further. Previously, after the rejection of the bill many people thought this matter to have closed. Now, you need to know what this all debate about and why there are uncertainties in the bill. The government wants MUDRA bank to be the omnipotent. It simply means that MUDRA bank is going to regulate and refinance all MFIs. This means all the activities and functions about micro and small business organizations under MFIs are going to under command of MUDRA bank. This gives statutory status to MUDRA bank. Now, this is all the bill has in it and is going to be presented to the parliament by the end of this year. Rumor has it that this bill is not going to be presented this year in parliament –is likely to be delayed. This is because the government has failed, up till now, to convince the stakeholders. To Another rumor is that this bill is going presented next year during budget session. MFIs are not agreeing because they are not sure how this new regulatory authority is going to affect their functionality and operation. 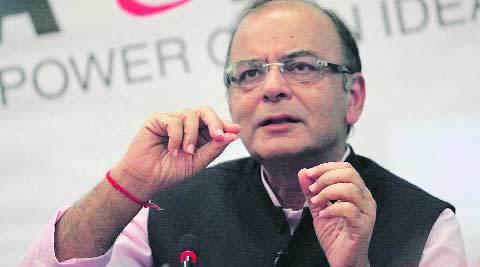 MFIs want to hold further discussion with finance ministry. MFIs that are working as self regulated organizations are registered as societies, whereas MFIs that are working as NBFCs are regulated by RBI. Finance ministry wanted the government to look into the matter of regulation. The ministry wishes to form a regulatory authority which can monition the functionality and activities of MFIs –both NBFCs and societies. We are still not sure what will settle this bill. So we wait and watch what time has in store for us.